If you’re looking to study accounting in South Carolina, you can choose between more than 25 accounting schools, including 7 schools that offers advanced degrees in accounting. Among these, schools like the University of South Carolina, Clemson University and the College of Charleston have a reputation for excellent teaching. The University of South Carolina secured the 20th place in the Public Accounting Report’s 2013 survey of accounting professors in the large institution category for its undergraduate and graduate programs in accounting. The university is also highly ranked in Businessweek’s 2013 list of the best undergraduate business programs (87) and in Kiplinger’s Best Values in Public Colleges list (35). Clemson University is also highly rated by both publications and also ranks as the 68th best school in the country according to U.S. News. 1.3 How Much do You Get Paid in South Carolina? When choosing your future accounting school, keep in mind that this decision could determine your career path. An accounting program can offer you not only classroom-based education, but also practical experience, networking opportunities and the edge you need in a competitive job market. This is why it’s essential to choose a top-quality, AACSB-accredited program that can help you land that Big Four dream job. Make sure you enroll in a program with a comprehensive curriculum and opportunities for experiential learning, such as internships, field study projects and volunteering programs. And most importantly, look for a well-rounded education: high-quality teaching should be complemented by extra-curricular activities and an excellent careers service – check the program’s graduate employment rates to be sure! Don’t stay away from tough admission criteria and assessment – these are the challenges that will help you succeed in your future career. 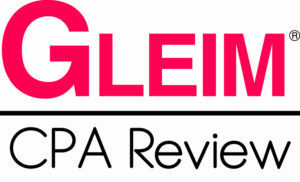 Find out the school’s CPA exam pass rates and standing in national rankings and competitions; student evaluations can also help you gauge the quality of an accounting program. In brief, aim for the best program and don’t be afraid of challenges – they are your friends on this difficult, but rewarding career path! If business, financial records and numbers make you feel right at home, you’ve got the makings of an accountant. But how do you get there? In a more and more demanding business environment, you have to work hard in order to succeed as an accountant or CPA (Certified Public Accountant) – but if you are motivated, you’ll have no regrets! 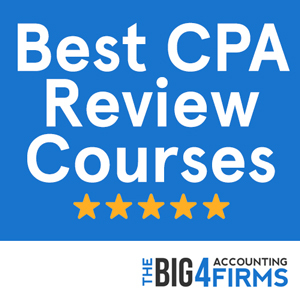 You’ll have to complete a four-year degree in order to work as an accountant and additional coursework amounting to 150 credits if your goal is to become a CPA. Many universities offer five-year integrated CPA track programs that allow you to earn both a Bachelor’s and a Master’s degree in the shortest possible time. In order to qualify as a CPA, you will also need to pass the four-section Uniform CPA Examination, as well as take and pass an official ethics examination. Furthermore, before you can work as a CPA you will also have to gain one or two years of accounting experience depending on your state’s regulations. The South Carolina accountancy board requires candidates to complete 120 semester hours from an accredited school in order to sit for the CPA exam. Candidates must also have a social security number or be legal U.S. residents. In order to be granted licensure, CPA candidates have to complete a total of 150 semester hours including at least a Bachelor’s degree with 36 hours in accounting courses and a further 36 hours in business courses. Before applying for a license, candidates have to pass the CPA exam, as well as a professional ethics examination. One year of accounting work experience, or five years of accounting teaching experience at college level, is also required for licensure. How Much do You Get Paid in South Carolina? In terms of accounting pay levels, South Carolina rates much lower than its neighboring Georgia and North Carolina. With a mean annual salary for accountants and auditors of $58,970 in 2013, the state also falls below the national average by approximately $6,000. However, prospective South Carolina accountants need to take into account the great variability in pay inherent to this profession: accountants holding official certifications such as CPA and extensive experience can earn over 100% more than their entry-level counterparts. In South Carolina, the lowest paid percentile of accountants earns just over $33,000 on average, while the highest paid professionals secure close to $100,000 per annum. Ranked 62nd among national universities, Clemson University offers a rigorous accounting program accredited by the AACSB and endorsed by IMA. 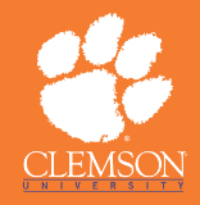 Students can pursue a Bachelor of Science in Accounting, as well as a Master of Professional Accountancy degree through the School of Accountancy and Finance at Clemson University. The Bachelor’s degree program offers a broad-based education allowing students to specialize either in Accounting or in Financial Management. Students who wish to start careers in public accounting and apply for CPA certification can complete the Master of Professional Accountancy degree. The graduate program allows them to develop their accounting and research skills through case-based learning, with courses including taxation, advanced accounting, auditing, accounting research, accounting problems, ethics and law. The Master of Professional Accountancy degree reports good graduate placement rates, with employers including the Big Four and other major public accounting firms, as well as financial institutions, services, corporations and the government. The prestigious Darla Moore School of Business at the University of South Carolina is ranked 55th in the country by U.S. News and its accounting program made the 2013 Public Accounting Report listing. Accounting majors at the Darla Moore School develop their technical competence and knowledge through courses in financial accounting, cost and managerial accounting, taxation and auditing. Through accounting labs, students learn to apply their knowledge and perform accounting tasks such as cost analysis and financial statement interpretation. The University of South Carolina also prizes experiential learning, enforced through various opportunities such as supervised internships. The unique Mentoring Program puts accounting students in contact with alumni and professionals. Students can also participate in one of the over 400 student organizations present on campus or participate in study abroad programs in order to complement their academic experience and hone their networking skills.